We previously asked our website and blog visitors to tell us some modern ways they’re utilizing Virtual Numbers with their businesses, and we’ve been impressed with the wide range of marketing tactics individuals are using. Small businesses are able to use virtual phone numbers to obtain “local” numbers within neighboring areas to get additional business throughout outlying areas and even potential new market segments. Companies of almost all sizes use virtual numbers to monitor advertising and expand revenue. Micro businesses make use of virtual numbers to provide a professional image to consumers. Any business can build multilingual options and broaden their international business making use of virtual numbers. Use Virtual Numbers to complete an “A/B” examination on new advertising and marketing plans. Just tally the amount of people who called phone number in version 1 vs. how many called the phone number for version 2. How have you utilized virtual numbers to successfully boost your small business? Tell us using the comment box below, and maybe you will see your suggestion in the next Phone Dynamo blog post! If you find yourself attracted to creating an automated call answering system for your online business, small business, or entrepreneurial venture, a virtual phone system from Phone Dynamo is your best option. Phone Dynamo offers you all of the popular features of a bigger business telephone system on your existing phone lines, at a fraction of the price. You can even forward calls to your home phone or even your cell phone if you want to take calls while you’re out of the office. If you’re unavailable to take the call, Phone Dynamo will answer the incoming call for you and take a message for you to listen to at your earliest convenience. 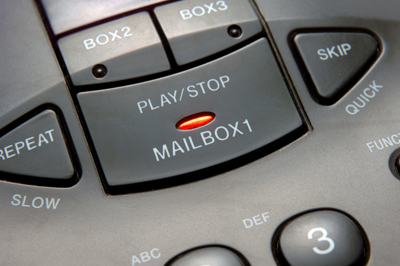 When setting up your voicemail with Phone Dynamo, you can either elect to record your very own greeting or utilize one of numerous recorded messages. Undecided that Phone Dynamo could be the right virtual phone service available for you? Click here to visit our website for more information and detailed list of all the features offered with a virtual phone number from Phone Dynamo. If you use Phone Dynamo you will get one phone number for your tutoring business that customers can use to contact you directly, or another employee wherever you may be at that time. For instance, you can set a schedule for every single day of the week for just how you want your calls to be directed at different times of the day. If you are regularly away from the office on Wednesday afternoons, you can customize Phone Dynamo to direct any incoming calls directly to your cell phone. Or you can adjust it to first ring to your cellular telephone and if you don’t pick it up after five rings the call will be directed to another person on the staff. If you happen to get a different phone number you can easily keep in touch with all of your customers since they can always call your mobile Phone Dynamo number and be directed to your new phone without realizing anything has changed. Another great characteristic for tutoring companies is the chance to set up extensions for tutors and workers. If you would like to let clients contact your tutors without knowing the tutor’s personal contact number you can merely add an extension to your Phone Dynamo number that will redirect calls for the tutor. The client calls your company number and uses the tutor’s extension and they’ll be directed to that tutors cell phone. 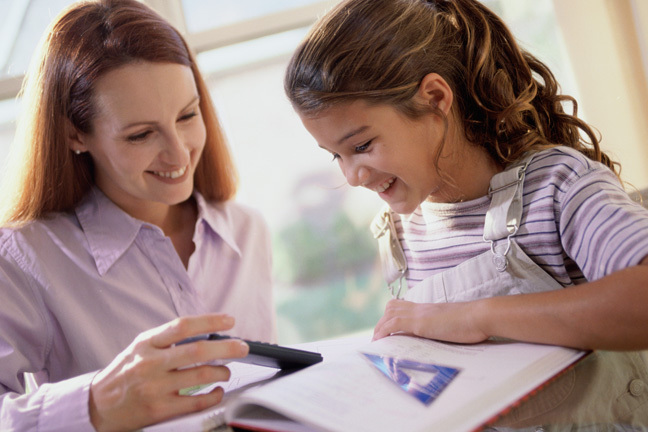 Employee changes are frequent for many tutoring companies and Phone Dynamo is designed to easily take care of this. As some tutors leave you will have to hire new instructors. It is very to add the new tutor to your company’s phone directory and remove the old one. Phone Dynamo is very flexible and is set up purposely to handle numerous scenarios. This technique makes it simpler for customers to contact you and it makes your company appear more professional. The best part is that Phone Dynamo is a very inexpensive virtual phone system service! You can learn more about Phone Dynamo about our website: online world. Phone Dynamo. com. Virtual telephone numbers enable businesses to improve their communication systems without having to use any specialized hardware. Because your phone system is run by software provided by Phone Dynamo, your system setup and call reports are managed and routed using the provider’s equipment. On most occasions this will work in your favor, since our business depends solely on our ability to deliver reliable virtual telephone services all the time, every day. However, a little due diligence is still needed to ensure they have appropriate plans and coverage in case of service interruptions. The more established hosted service providers have multiple data sites and voice systems in place, and use Tier-1 carriers. These are the highest-grade local and long distance carriers. Their proven track records are the best the telecommunications industry can deliver. Another good sign of a reliable service provider is one whose systems are monitored around the clock – 7 days a week, 24 hours a day. Some hosted service providers may charge a maintenance fee for this monitoring, but the best include this added level of support as part of their service plans. The flexibility and scalable nature of virtual phone systems means that you can get up and running without having to spend a pretty penny. With minimal up-front capital investment, these systems represent an extremely low-risk commitment. Those that offer no-risk trials (or free plans) provide an excellent way to test out the system for compatibility with your organization. Providers can also frequently assist you with customized solutions, right away, in order for you to make a well-informed evaluation. If you’re ready to try a virtual phone system, Phone Dynamo is a leading provider of hosted communications for businesses, help desks, and contact centers. Halloo has a variety of features that can help your business. For more information, visit us today! Business communication is used to exchange mutual info between two parties and needs to be clear and efficient. It is impossible for someone to think they can successfully manage their workers without using new and modern ways of communicating between internal staff and the external customers and clients. New virtual phone systems from Phone Dynamo has made it easier for entrepreneurs to have access to a constant flow of information regarding their business. They can receive feedback immediately, and mold their bossiness strategy accordingly. It is impossible for an organization to run successfully without having full coordination between all the people involved in performing the job collectively. We lucky enough to be living in a time of advanced technologies where virtual phone systems are readily available to keep all facets of your business communication in line. Using virtual phone numbers makes it so much easier for the small and large companies to streamline their communication systems. It would allow the users to send or receive the digitized data through the internet, and its charges are based on data usage and not for the numbers of minutes consumed. Furthermore, it removes the limitations of many kinds, and helps the user to connect to the people all around the world at cost-effective prices, provided the user must have uninterrupted internet connectivity. The distinguished features of virtual phone system take almost half the credit of giving the right direction to the flow of work, as it helps providing well illustrated information regarding the desirable job. Not just this, the phone user would never miss the chance to acknowledge the sender that he has received the information by utilizing fully automatic call answering and call routing facilities. With Phone Dynamo, our customers can set up a personalized greeting that a caller will hear when they dial and call the virtual number. We give you the option to substitute our default greeting with a custom greeting that you can personalize to fit your own needs. Some of our customers simply record a personal greeting using their own cell phone and upload it to the corresponding virtual phone number. Other users opt to upload a studio produced custom message to their account. Whenever someone dials your local or toll free number your custom greeting will play while the system connects the call. For example, if you record ‘Welcome to Superior Business Solutions, please hold while we connect your call’, then this message will be played directly after a caller dials your local or toll free number. It will also play if you have your virtual number on ‘do not disturb’. The benefits are many when you provide a personal greeting versus a generic greeting that sounds like every other business. You can stand out from the crown with virtual numbers from Phone Dyanmo. These days almost everyone has a cell phone, so why does a startup need a phone? Larger businesses need phones because they have staff who hold regular office hours. What about entrepreneurs and startups? 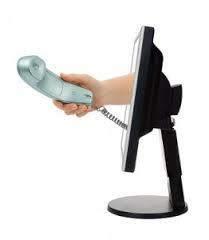 Both large and small businesses can benefit greatly from a virtual phone system. Here are just a few of those benefits. – Easily redirect calls and never miss those important phone calls again. – Provide a professional appearance, announce service times and allow callers to direct their calls to certain ministry leaders. – Phone Tree Capabilities. Send an important message to everyone in your phone tree quick and easily. The possibilities are endless with the virtual phone system, so ask yourself, how do these benefits compare with your current phone system? For more information visit us online.